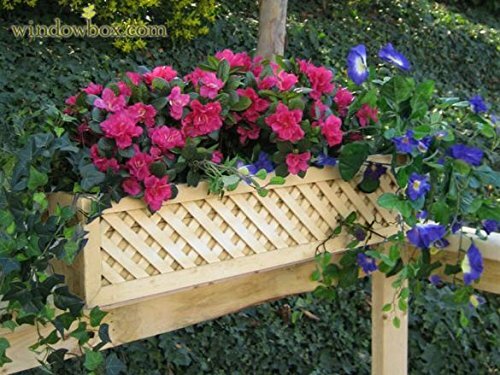 Cedar Lattice Rail Flower Box - 38 inches Long by Windowbox at Tulips Orchids. Hurry! Limited time offer. Offer valid only while supplies last.